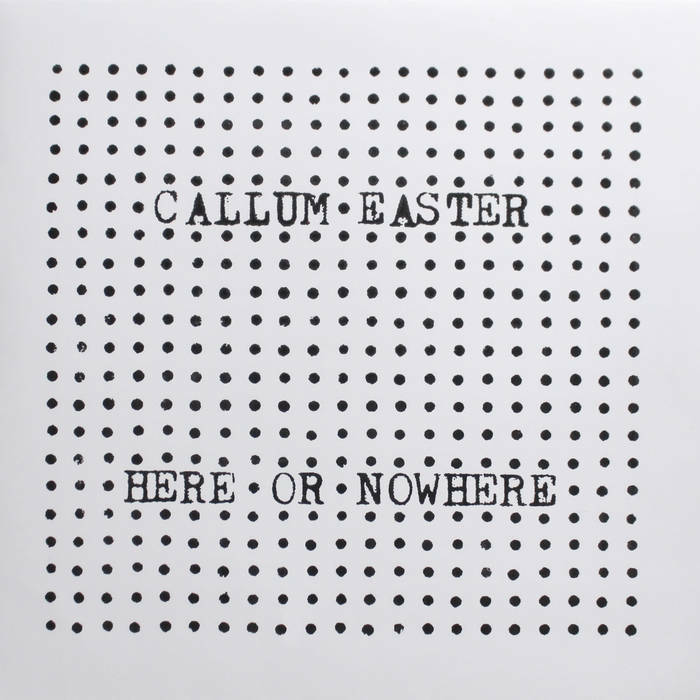 Here or Nowhere, the debut album by Callum Easter, really couldn’t be any more cool if it was locked up in Orleans Parish Prison with John Lurie. Even at its edgiest, there’s something very zen-like and unattached to it, which recalls the kind of feeling you get from early Suicide albums. There’s a wide-eyed, seventies New York insouciance that sounds both streetwise and perfectly innocent and you’ll find few debut LPs this year as fully and perfectly formed. Based in Leith, he’s steeped in the influence of Motown and Trojan Records. You can hear it in tracks like ‘Fall in Love’ and ‘Be There Always’, even if it all gets a bit off-kilter when he fires up the slow ballad setting on one of his vintage organs. When I interviewed Easter earlier this month he spoke of his love of early blues and ska, of evocative field recordings by people like Alan Lomax, where there’s just a microphone in a room capturing something imperfectly. Here or Nowhere sets out to convey this kind of timeless atmosphere, and it largely succeeds in making you feel like you’ve stumbled across an unknown radio station in the middle of the night. He uses his limited palette to maximum effect. All the songs sound different and equally valid. There’s the bar-room piano stomp of ‘Only Sun’, the dark psychedelic carnival chant of ‘Plastic in Trees’ and drifting, reverb-heavy balladeering of ‘Space in Time’. But each track shares a monochrome, synaesthetic quality, which is stark and moody, but always expansive and never depressing. It helps that everything comes at you at the tempo of your own breathing. The haunting title track offers a cracked window into the bargain it offers us: ‘Here or Nowhere’. He’s saying you don’t have to sugar-coat things, just be receptive to what’s around you and find its beauty because there’s nowhere else. We’re here and it’s now, and “the way things are going / we should get together / we can make things better / respect one another / life is what we’re given / every child, every being, every living thing / and it’s here or nowhere”. It’s something really special. A warm, cuddly blanket of an album that’s like sinking into a dream landscape of old Motown hits reimagined by The Upsetters and Johnny Cash. Here Or Nowhere is out now on Lost Map.